(NewsUSA) - It's the bane of every cell phone user -- conversations that become garbled and calls that drop. These "dead zones," usually happen while you're on the road, and can be frustrating at best, while making you feel exposed and defenseless at worst. 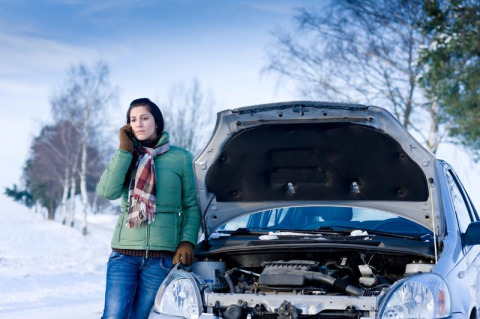 However, they also present a critical safety issue when driving during the winter. As winter weather wreaks havoc on roads (never mind cell phone coverage), it becomes more important than ever to stay connected to family and friends -- whether it's to let them know you're running late, stuck in traffic or in an emergency situation. That's why zBoost, a Georgia-based company that develops and manufactures cell phone signal boosters, is helping people stay connected no matter where they are, while giving winter travelers a sense of safety and security. "As a realtor in snowy Ohio, I am on the road showing homes or visiting family, and I'm dependent on my mobile phone to stay connected," said Lisa Van Doting. "Before adding my zBoost Mobile1 cell phone signal booster, I was frequently in areas with no cell service, which left me disconnected and vulnerable in emergency situations." The way it works is the zBoost Mobile1 is set up in the interior of any car or truck, and a mobile phone is placed in a sturdy, lightweight cradle (much like cell phones of old). The cradle amplifier connects to the dash-mount bracket and also connects to the vehicle's 12V power through a power adaptor via a USB cable. The magnetic antenna is mounted on the exterior of the car, which captures the signal outside of the car, brings it in through a narrow cable and amplifies it on the inside for a stronger signal, extending the in-vehicle cell zone (the phone must be in the cradle). The unit also boosts voice and text for all major cell carriers. In addition to reducing dropped calls and combatting dead zones, it also extends the battery life of the phone, includes a hands-free option, and most important, extends your cell phone's range. For more information, visit www.zboost.com/solutions-products/travel/zb245.html.